Each of the 15 chapters in this work presents a paper gleaned from presentations at an International Space Science Institute Workshop on Shallow Clouds, Water vapor, Circulation and Climate Sensitivity organized as part of the World Climate Research Programme’s Grand Science Challenge on Clouds, Circulation, and Climate Sensitivity. The workshop’s somewhat awkward title reflects the practice of treating each subject separately—a state of affairs that the workshop sought to address. As the roughly 40 participating experts from around the world emphasized, the coupling of clouds and water vapor to circulation helps determine the nature of circulation systems in the past and present as well as the climate sensitivity that characterizes the response of the Earth’s surface temperature to radiative forcing. It has been known for more than a decade that an understanding of factors controlling the distribution and amount of the low-level, fair-weather, clouds over the tropical oceans is critical for determining Earth’s climate sensitivity. What has become clear only recently is that these clouds do not simply respond passively to the large-scale circulations in which they form. Studies of clouds and circulations across a range of scales, enabled by increasing computational power, have shown that clouds help set these circulations through their interactions with radiation. Radiative cooling from low clouds drives low-level temperature and pressure gradients that reinforce the regions of gentle subsidence in which they prevail. This pathway is also thought to be responsible for the clustering—or self-aggregation—of deep convection seen in simulations with spatially uniform forcing. The relevance of self-aggregation behavior to clouds on Earth was one theme emerging from the workshop. Water vapor, like clouds, interacts powerfully with radiant energy, and there is a longstanding appreciation that water vapor influences Earth’s climate sensitivity, especially through changes in water near the tropopause. But as several papers in this collection highlight, small departures in the relative humidity of the lower atmosphere can be just as important in influencing Earth’s radiative balance. Moreover, perhaps no other quantity is as important for patterning the distribution of deep convection. Despite the importance of lower tropospheric humidity for a vast array of climate relevant processes it is poorly characterized in the absence of field campaign measurements, largely because current remote sensing techniques have difficulty unambiguously detecting the structure of water vapor in the tropical boundary layer. The 15 chapters in this volume expand on these themes. The first set of papers focuses on convective self-aggregation, or the tendency of convection to organize even in the absence of external influences. Allison Wing and her co-authors provide a timely review of a rapidly expanding literature. Following this lead two groups, led by Christopher Holloway and Matthew Lebsock, respectively, explore the observational record for signatures of convective self-aggregation. A team consisting of Louise Nuijens, Kerry Emanuel, Hirohiko Masunaga and Tristan L’Ecuyer asks to what extent radiative forcing from somewhat deeper clouds, cumulus congestus, also influence the pattern of large-scale circulation. Paquita Zuidema and Giuseppe Torri consider the disaggregating aspect of deep convection, namely the cold pools that propagate away from convecting areas and initiate deeper convection well away from aggregated clusters. Two articles address the question as to how shallow clouds influence climate sensitivity. One, a concise summary by Stephen Klein et al., synthesizes five recent studies leveraging cloud controlling factors to try and infer how low clouds may change in a warming climate. The other, by Jessica Vial, Sandrine Bony and their co-authors, explores why climate models are so sensitive to the representation of low clouds, and to what extent more fundamental modeling approaches, like large-eddy simulation, may help to constrain their behavior. The importance of water vapor is reviewed in two articles, one led by Brian Mapes and one by Bjorn Stevens, Helene Brogniez and co-authors. The latter article, and one by Robert Pincus and his co-authors, assesses the ability of our present observing system to characterize the distribution of water in the lower troposphere. The book’s final section looks to the future. New technologies for observing lower tropospheric water vapor are becoming more widely available. An article by Christopher Kiemle demonstrates the use of one such technology in airborne field campaigns, while the contribution led by Amin Nehrir surveys the range of emerging technologies being developed for air- and space-borne measurements. The prospects of using related space-based observations of clouds to constrain the temperature-mediated dependence of clouds and circulation is reviewed by Dave Winker, Helene Chepfer and Xia Cai. 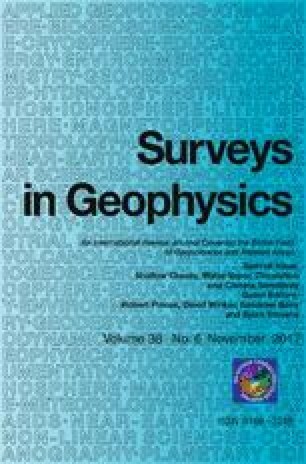 Observational strategies for directly exploring how satellite observations might be used to measure shallow circulations are explored in an article by Gilles Bellon, Oliver Reitenbuch and Ann Kristin Naumann—an especially timely contribution given that the first satellite-based wind lidar will be launched just as this work appears. Finally, Sandrine Bony, Bjorn Stevens and a large international team of co-authors outline an exciting new field campaign in which they plan to measure the interaction of low clouds, water vapor and circulation with the goal of putting better bounds on Earth’s climate sensitivity.